Since opening in 1975 as the first “do-it-yourself” picture framing store in the state, Create A Frame/Handworks Gallery of Mt. Lebanon has evolved into a fine art gallery known for exceptional quality framing and representing many of the finest artists in the country and internationally today. 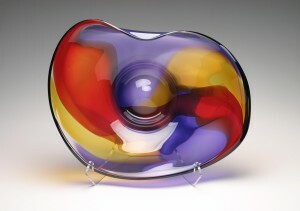 We have expanded to include fine American crafts such as hand-blown glass, ceramics and jewelry. We are committed to providing our customers with the utmost in quality, whether in custom framing, art or craft. Create A Frame / Handworks Gallery is unique in every way, and we'll prove it to you. Every framing order is custom designed with both the art and the customer in mind, using the highest quality moldings, conservation matting and glasses available. Our selections are vast and always changing.